number along with the date, the species and location of your sighting. An American Dipper was spotted at the Top Bridge Trail in Parksville. The Sunday bird walk went to Buttertubs Marsh, where it was a wet, windy day. There were five hardy birders in total on the blustery day, one visiting from Alberta and one visiting from Seattle. Five birders saw and heard the following twenty-nine species. 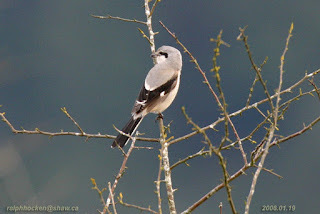 The Tuesday bird walk went to the Plummer Road side of the Englishman River in Parksville. The morning was sunny and the Strait of Georgia was calm. Two pair of Gadwall were on the river as the walk started. Many Green-winged Teal and Northern Pintail were resting on the mud flats. A large flock of migrating Canada Geese with one Cackling Goose flew over head eventually landing on the far side of the estuary. California Gulls, Mew Gulls, Thayer’s Gulls, one Western Gull and a large number of Glaucous-winged Gulls were resting on gravel bars along the estuary. 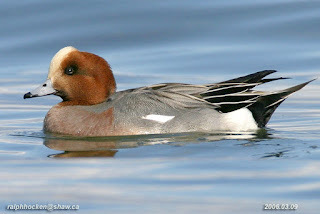 Barrow’s Goldeneye, American Wigeon and an Eurasian Wigeon were feeding along the side of a gravel bar not far from shore. 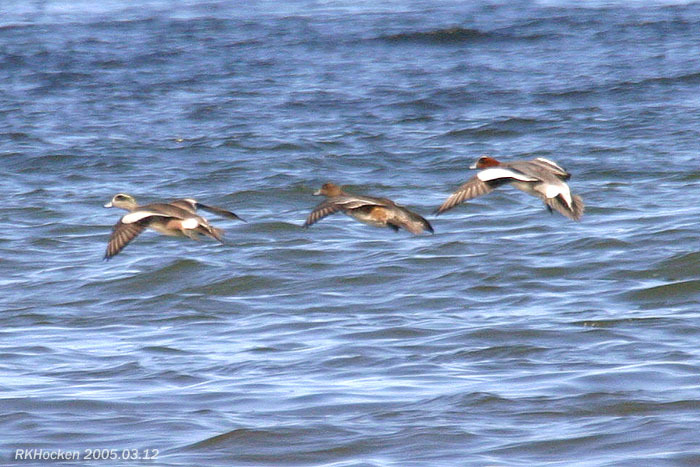 Twenty Long-tailed Ducks and Surf Scoters were seen swimming further from shore. We saw hundreds of Brant Geese on the strait swimming and flying during the morning. We spotted three large flocks of Bushtits feeding on big Scotch broom bushes along the road. 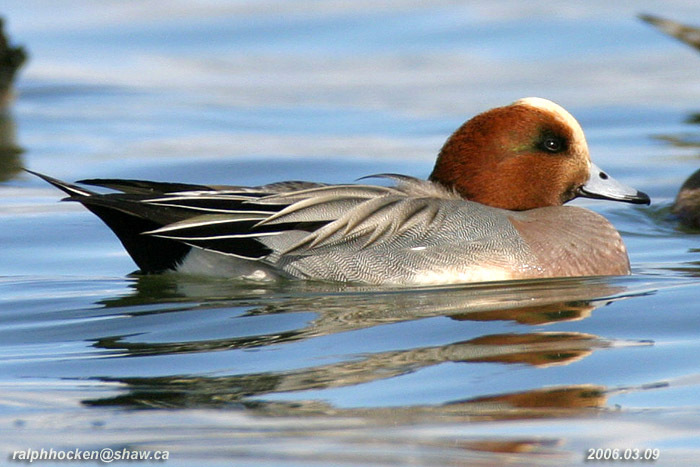 The Tuesday bird walk on March 01, 2016 will be going to the Little Qualicum River Estuary in Qualicum Beach. Meet at Parksville Community Park at the Lions Club Kids Playground Parking lot at 9:00 a.m. or at the Brant viewing platform in north Qualicum Beach at about 9:15 a.m.
TO UN-SUBSCRIBE FROM THESE EMAILS, PLEASE REPLY TO THIS E-MAIL WITH “REMOVE” IN THE SUBJECT LINE. Thanks…. The Sunday bird walk went to Nanoose Bay. The morning was cloudy with strong winds blasting off the Strait of Georgia. 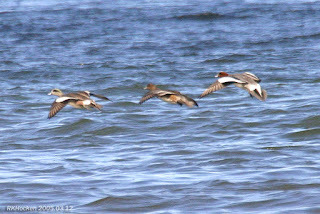 A flock American Wigeon’s including a Eurasian Wigeon flew in and landed close to shore. We spotted a Peregrine Falcon flying slowly into the strong wind hovering all the way. A short time later a Red-tailed Hawk was doing the same thing giving us great views. 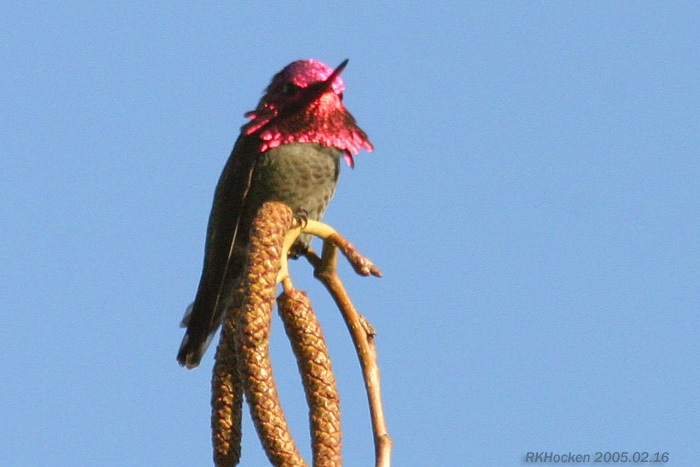 Twelve birders saw and hear the following thirty-one species. A Turkey Vulture was spotted heading north, above highway 4a in Parksville. The Tuesday bird walk went to Columbia Beach the morning was sunny with light winds off the Strait of Georgia. Red-breasted Mergansers, Surf Scoters, White-winged Scoters, Black Scoters and Long-tailed Ducks as well as Pacific Loons, Common Loons, Horned Grebes and Red-necked Grebes were seen off shore. Common Murre, a Pigeon Guillemot and Western Grebes were further offshore. Black-bellied Plovers, Killdeer, Dunlin and Black Turnstone were resting with a large number of Gulls on the gravel bar. A flock of American Wigeon with one Eurasian Wigeon landed close to shore giving us great views. A Ring-necked Pheasant was seen near Long Lake in Nanaimo. 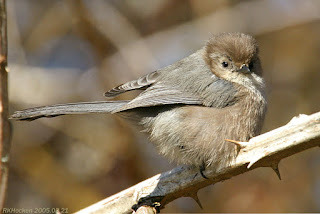 The Tuesday bird walk on February 23 will be going to the Plummer Road side of the Englishman River in Parksville. Meet at the Parksville Community Park, near the Lions Club Kids parking lot at 9:00 a.m. or at the corner of Plummer Road and Shorewood Drive at about 9:10 a.m. 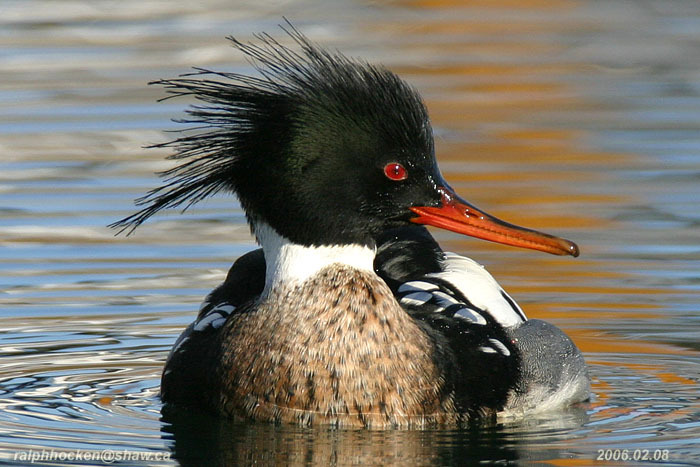 The Sunday bird walk on February 28, 2016 will be going to Buttertubs Marsh in Nanaimo. 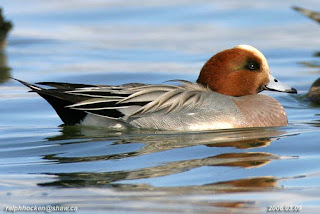 Meet at the Birdstore at 9:00 a.m. or at Buttertubs Marsh parking area off Bowen Road at about 9:15 a.m.
Eurasian & American Wigeon in flight: Ralph Hocken Photo. The Sunday bird walk went to the Shelly Road side of the Englishman River in Parksville. The morning was cloudy with calm winds. Eight male Common Mergansers were seen along the river at the start of the walk. Two Bald Eagles were talking loudly from their nest across the river. Brant, Common Murre, Common Loons, Pacific Loons and Long-tail Ducks were resting on the Strait of Georgia. We spotted a Northern Shrike perched on a log in the meadows. Nine birders saw and hear the following fifty species. 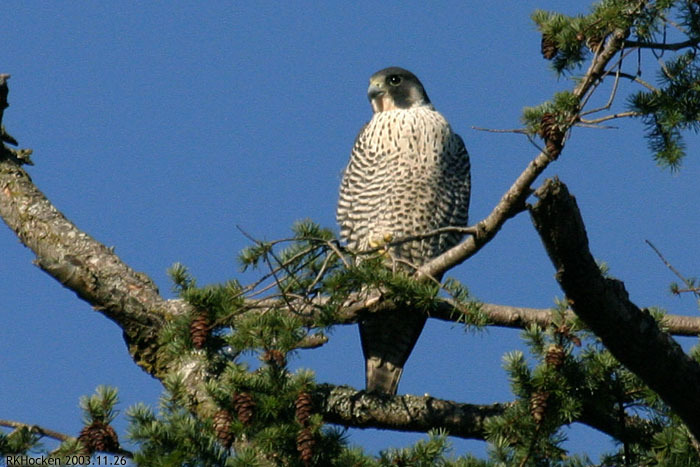 A Peregrine Falcon was seen at the corner of Campbell and Shelby Street in Nanaimo. The Tuesday morning bird walk went to the Shelly Road side of the Englishman River in Parksville. The morning was draped in heavy fog making for a challenging time looking for birds. 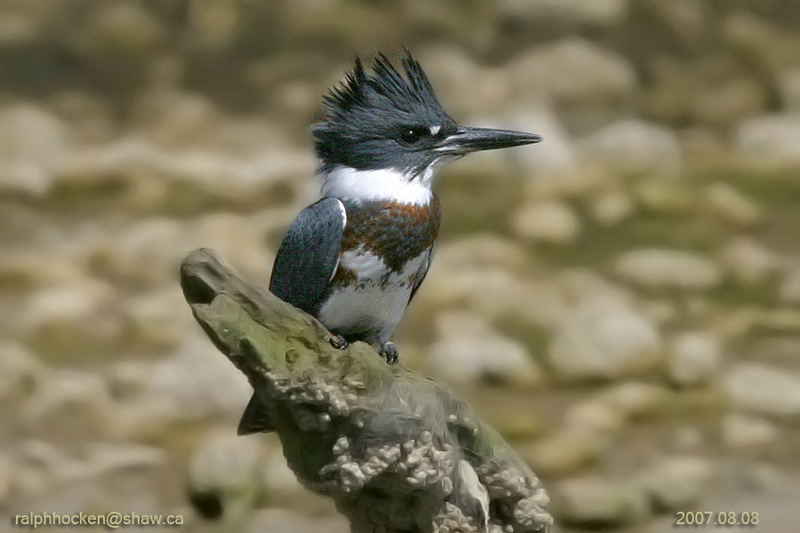 Two singing Belted Kingfishers were seen racing up the river calling all the time. We saw a Merlin flying high up near the top of the conifers. Several Anna's Hummingbirds were seen perched just off the trail through out the walk, giving us great views. 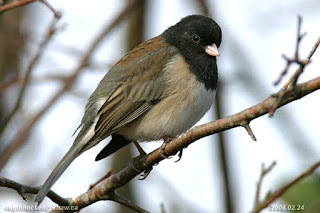 There were large numbers of Dark-eyed Juncos moving in and out of the underbrush along the trail. Dark-eyed Junco: Ralph Hocken Photo. A Turkey Vulture was seen near Enos Lake in Nanoose Bay. 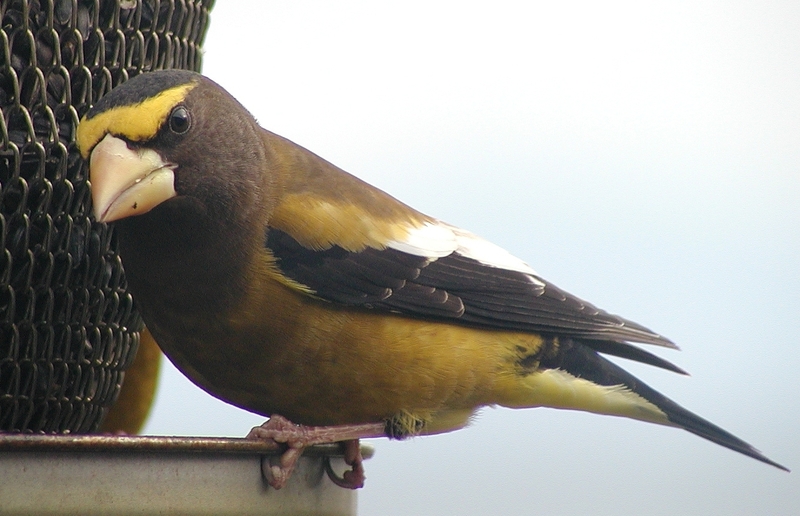 The Tuesday bird walk on February 16,2016 will be going to Columbia Beach. Meet at the Parksville Community Park near the Lions Club Kids Playground Parking Lot at 9:00 a.m. or at the parking area along Admiral Tryon Bld. (off Columbia Drive) at about 9:15 a.m. 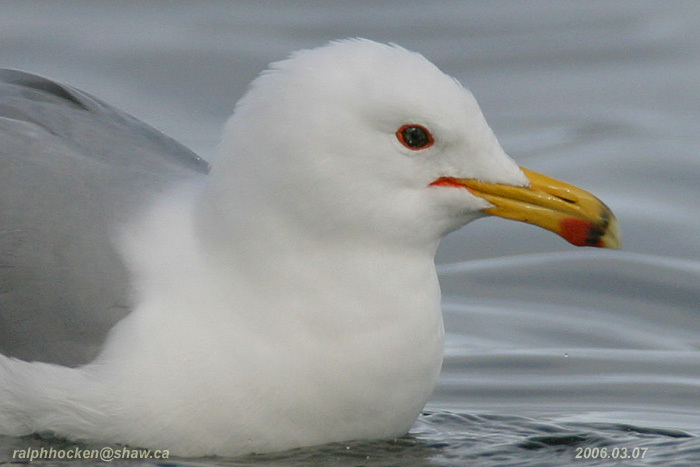 The Sunday bird walk on February 21, 2016 will be going to Nanoose Bay. Meet at the Birdstore at 9:00 a.m. or at the beach near the church camp off highway 19 and Arlington Road at about 9:15 a.m. The Tuesday morning birdwalk went to the Shelly Road side of the Englishman River in Parksville. The morning was draped in heavy fog making for a challenging time looking for birds. Two singing Belted Kingfishers were seen racing up the river calling all the time. We saw a Merlin flying high up near the top of the conifers. 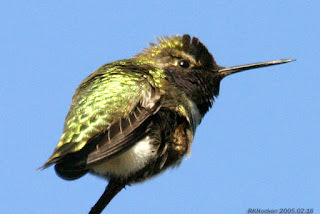 Several Anna's Hummingbirds were seen perched just off the trail through out the walk, giving us great views. There were large numbers of Dark-eyed Juncos moving in and out of the underbrush along the trail.